Welcome to the Jag Lovers X-type Section. Could Jaguar pull it off? That was the question on many Jaguar enthusiasts mind when Jaguar announced plans for a new compact saloon which would go head to head with BMW 3 series, Mercedes C Class, Audi A4 and the Japanese offerings. Introduced in 2001 as 2002 model, the X-type filled in the last step of Jaguar four model line expansion plans and with its affordable price attracted thousands of new customers in the showrooms. With a base 2.5 litre V6 model starting at just under $30 000, it didn't take long for the "Baby Jag" to become a familiar sight on the road. Jaguar broke new grounds with the X-type by offering standard All Wheel Drive, a departure from the traditional Rear Wheel Drive configuration of every Jaguar produced over the past 70 years. To further adapt to the demand of its diversified markets, a 2.0 liter Front Wheel Drive model was introduced in the UK and Europe in 2003 where higher taxation and fuel costs favored smaller displacement engines. 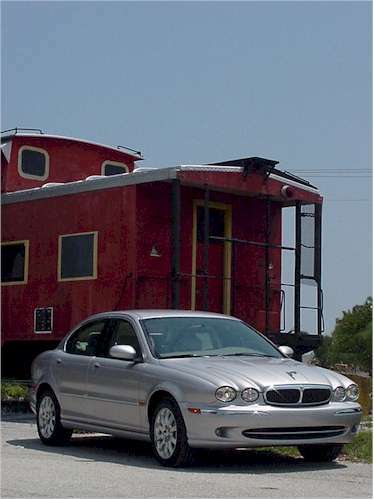 In 2004 Jaguar expanded the X-type line by offering an estate version and to further compete with BMW or Mercedes introduced a diesel engine; the first time in Jaguar's history.